Super food or not, kale is low in fat and high in beneficial nutrients including vitamins A, B6, C and K, fibre, protein, folate, iron and calcium. With powerful detoxification, anti-inflammatory and antioxidant action, there are too many reasons to eat kale to list here! No food is perfect however, so if you struggle with digestive complaints, it is recommended that you eat cooked kale only; and as one of the most heavily sprayed (pesticides) crops in the world, eating small amounts of organic, locally grown kale will outweigh the benefits of eating large amounts of non-organic kale. 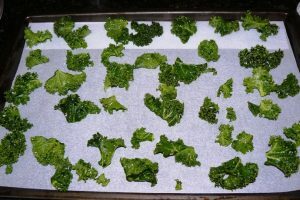 One of the most enjoyable ways to eat kale is crunchy salted kale chips; they make for a delicious and super-healthy snack, entrée or side dish. 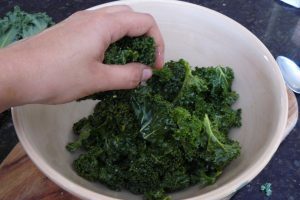 Use your hands to toss the kale in a bowl with the olive oil and salt; gently massage the oil into the leaves – you want them glistening but not drowning in oil. Spread on baking trays lined with baking paper – don’t crowd them on the tray. Bake for 10-15 minutes until light brown and crispy. Spice things up by adding ground chilli or paprika to the mix. 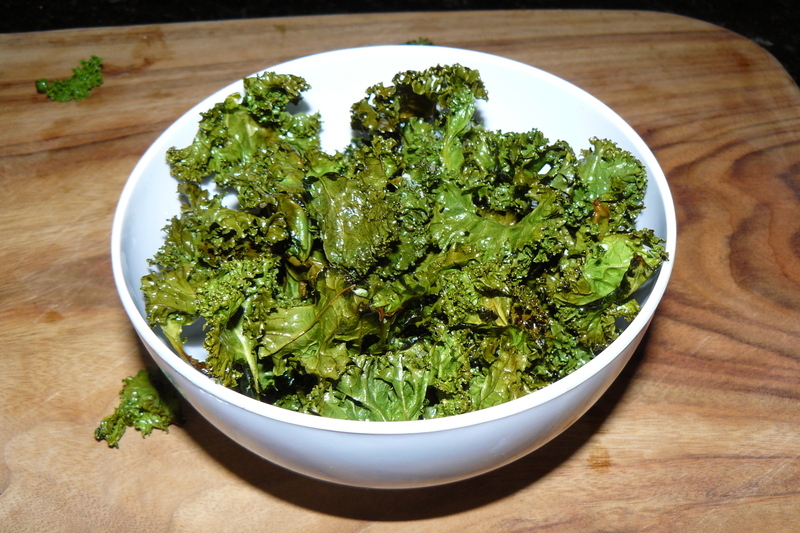 Ensure your kale is completely dry before adding the oil, or they won’t crisp up well. Subscribe to get the latest news and health tips sent directly to your inbox. Each new day is a new opportunity to choose wellness.